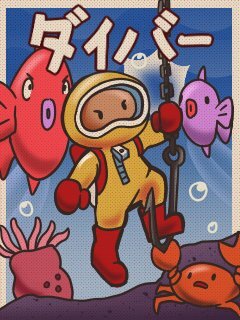 it is called ⦍Diver⦎ and is about you swimming around a shallow little oceany place and dodging fish and other marine stuffs (^▽^) its a little bit short⎻⎼⎽ like four levels؟ but yeahꜝ! Oooh. I'm gonna give this a look. Edit: I gave it a look. And enjoyed myself! https://www.youtube.com/user/CrispyMWHC -- I play the games for the internet. hardcore_crispy wrote: ↑ Oooh. I'm gonna give this a look.